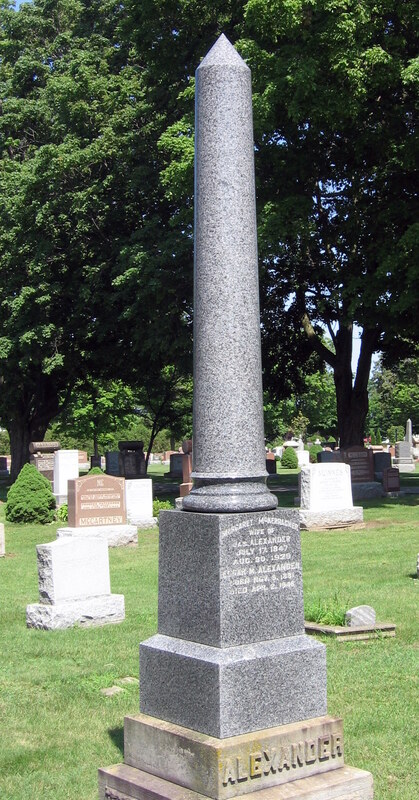 The obelisk is a common monument found within cemeteries, its definition coming from the Greek word ‘obeliskos’ meaning a pointed object. The tall tapering structure consists of a base, a shaft with four inscription panels, and a pyramid shaped capital. Originating from Egyptian culture, it pointed to the sun and was a symbol of the connection to the afterlife. 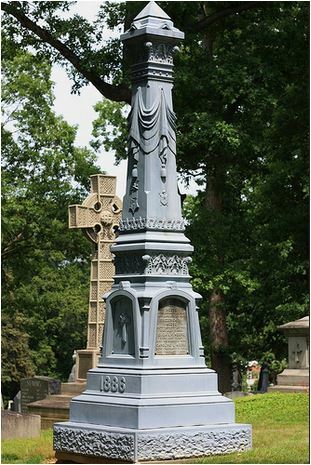 It became popular in the Victorian era when Christians adopted the monument to represent the flight of the soul to Heaven. It has become a symbol to represent the connection between earth and heaven; eternal life; and rebirth. 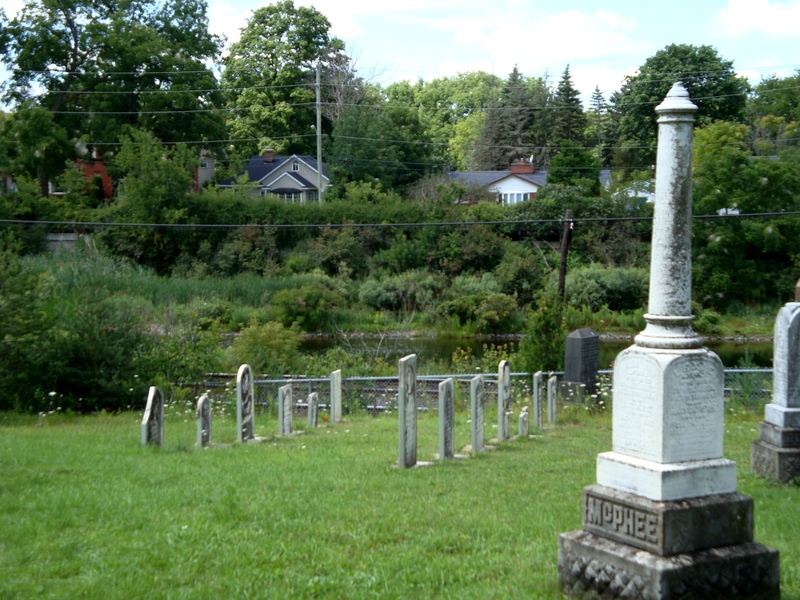 Obelisks are most often found on family plots where each panel records details of a family member’s life, or on the graves of notable persons. 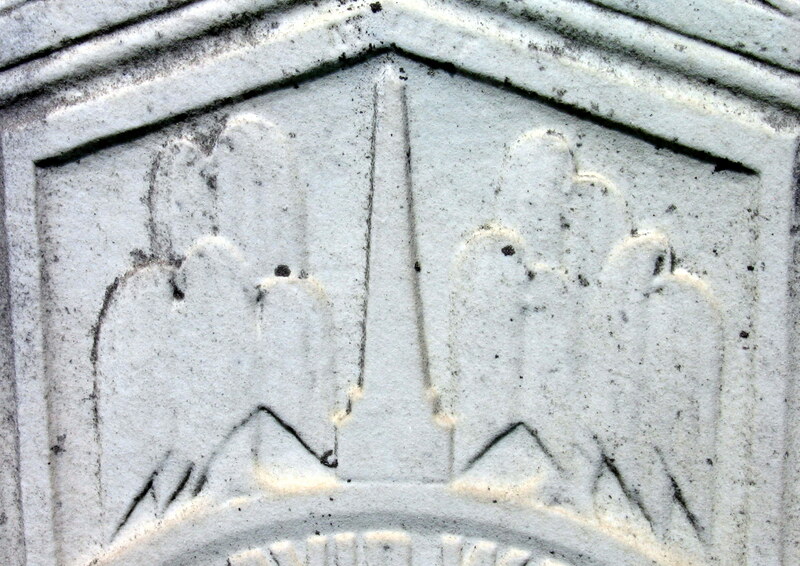 An obelisk can also be used as a sundial where the end of the shadow can determine compass directions. 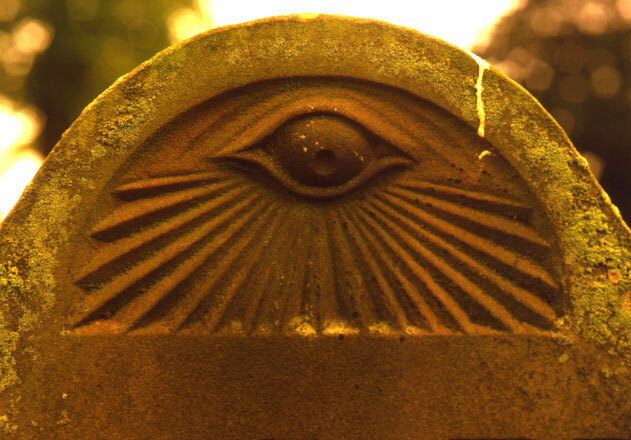 The eye represented on headstones is a gateway between this world and the next, and symbolizes the all-knowing God. 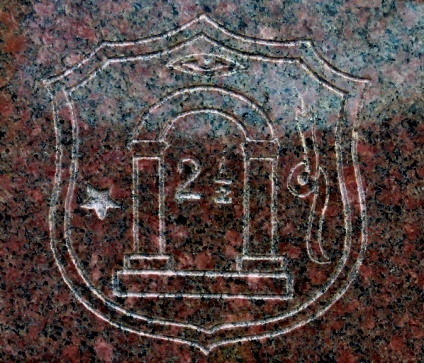 The icon is a Freemasonry (Masonic) symbol. 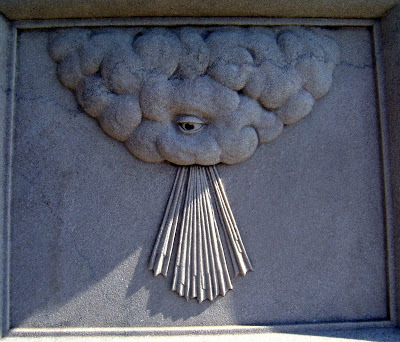 The eye within the clouds is a very early Masonic symbol. 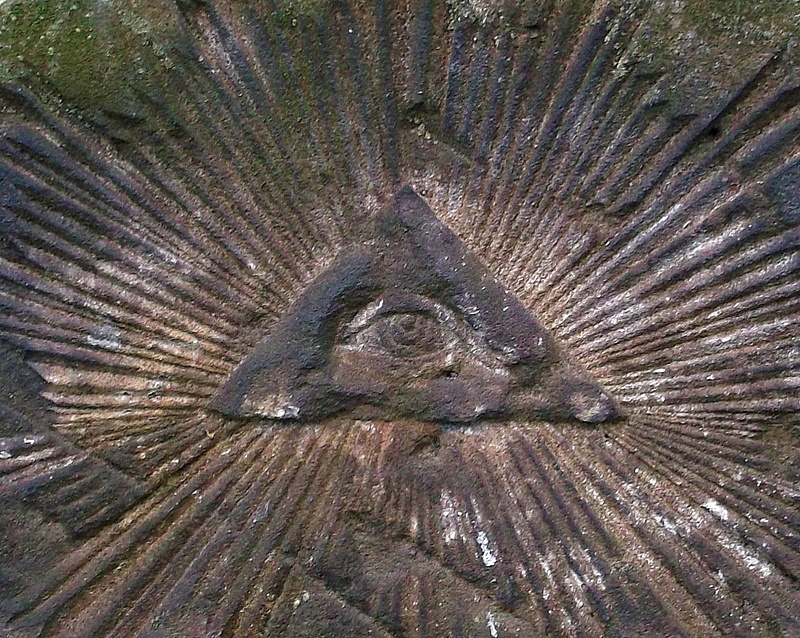 When the eye is enclosed within a triangle it represents the Holy Trinity, and when also surrounded by a circle it symbolizes the eternity of the Holy Trinity. Radiating rays of light surrounding the eye, or the eye placed within a sunburst symbolizes the holiness of the true God. 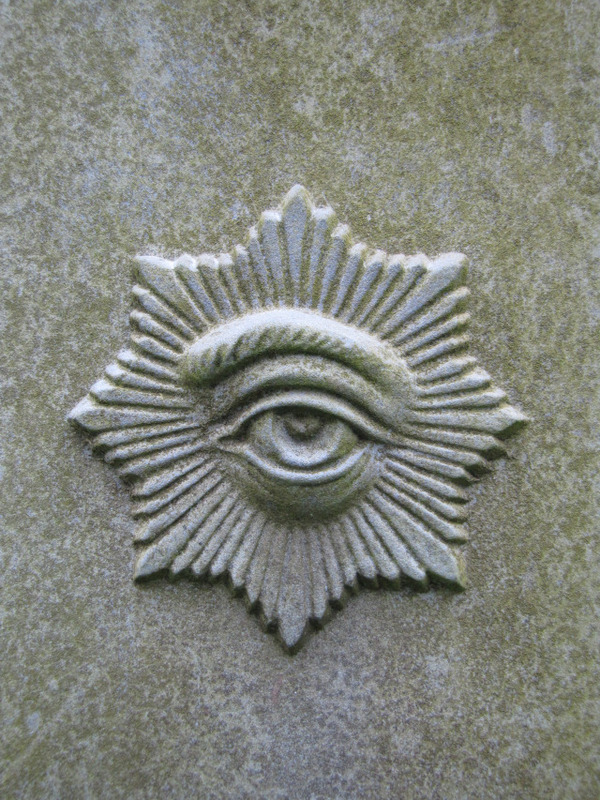 The sunburst eye is a reminder to Masons that their actions and deeds are observed as referenced in the Proverbs. (Prov. 5:21) ‘the ways of man are before the eyes of the Lord, and He pondereth all his goings’; and in (Prov. 13:3) ‘the eyes of the Lord are in every place, beholding the evil and the good’. 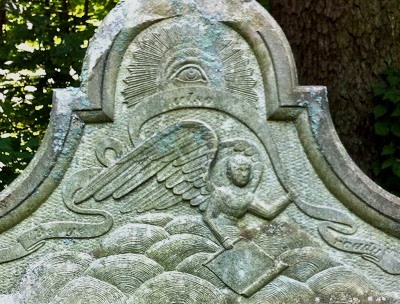 The carving below shows the All Seeing Eye of God, two hands clasped in farewell, and a chain with a broken link which symbolizes the death of a family member. 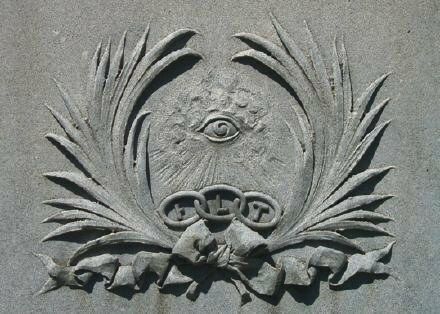 The all-seeing eye symbol is also associated with the Independent Order of Odd Fellows. The letters F, L and T within the chain links stand for Friendship, Love, and Truth. 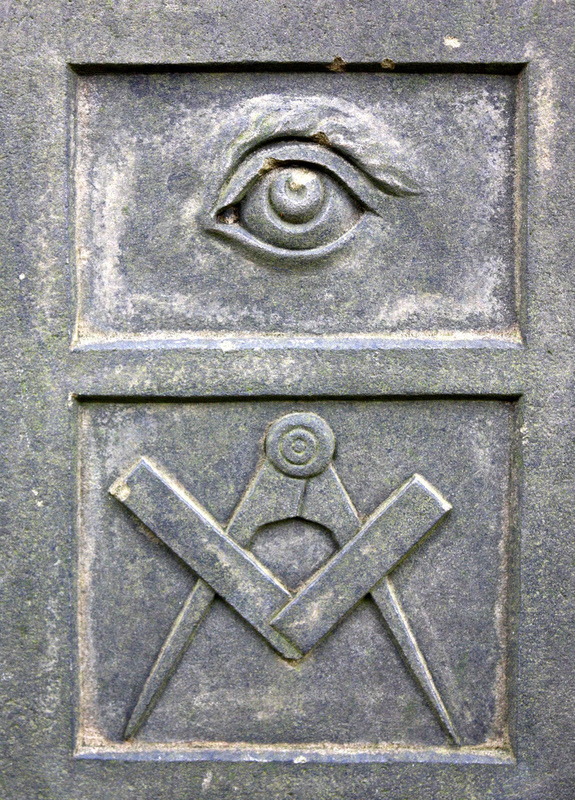 This gravestone belongs to a member of the Orange Order reflected in the unusual iconography containing several symbols including the Eye of Providence. 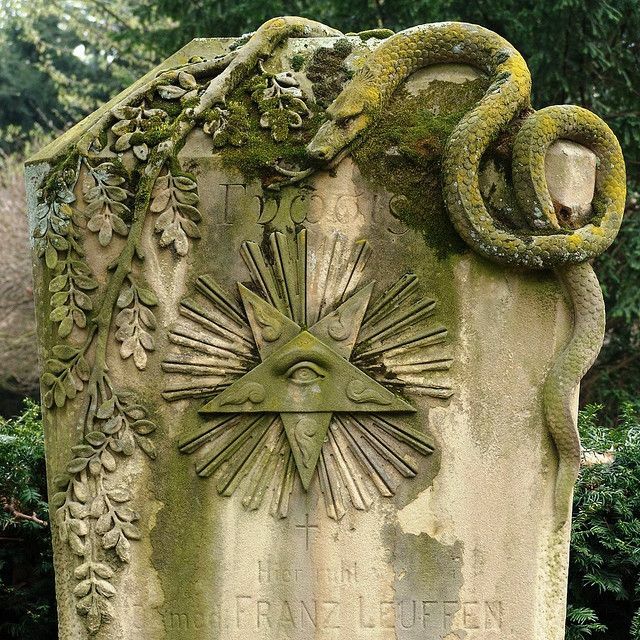 The snake is a symbol of everlasting life, the arch is the passageway to Heaven, and the 5 pointed star represents the spirit rising to Heaven. The fraction beneath the arch is an emblem used by the Orange Order. The Patriarchal cross and the Cross of Lorraine are so similar that the names have become interchangeable. This unique cross has one vertical post and two horizontal arms. The top arm is shorter than the lower arm. And The Success Of The Allied Cause. Very popular in France this cross has two crossbars, which technically should be placed one above and one below the midpoint. Variations of this cross show the crossbars the same length or with the lower crossbar being longer. 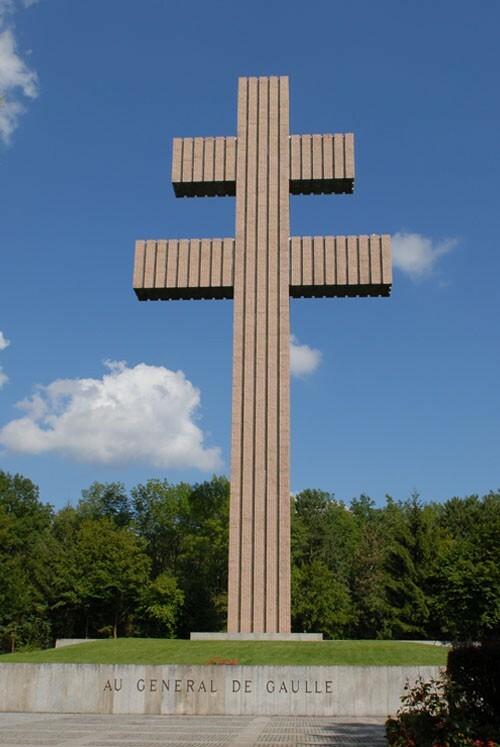 A massive cross of Lorraine stands at Colombey-les-Deux-Eglises in France as a memorial to General Charles de Gaulle. 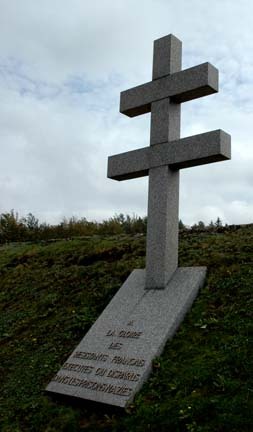 The Cross of Lorraine was the symbol of the French Resistance group, F.F.I. as seen in the photo below. The grave is located at the Natzweiler_Struthof Concentration Camp. 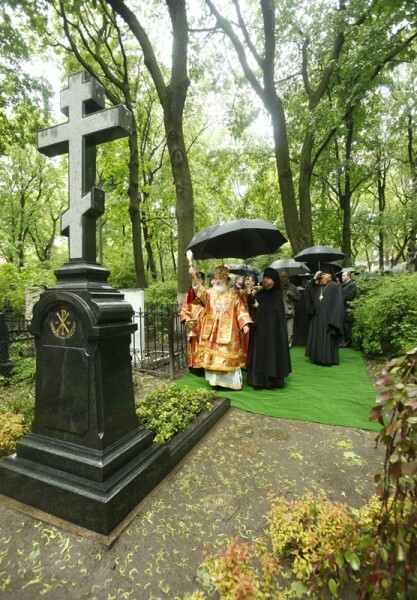 A Russian version of this cross contains a short, slanted crosspiece near the foot of the vertical post. 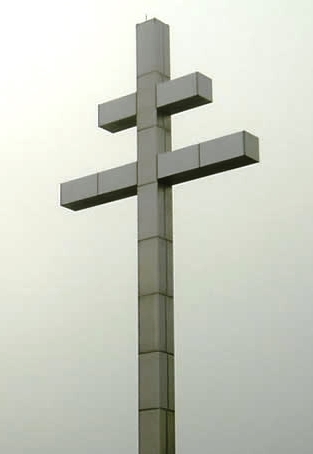 The Papal Cross resembles the Patriarchal Cross, but with a third horizontal bar. 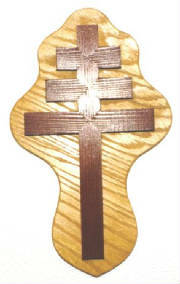 This cross is used only in processions that involve the Roman Catholic Pope. 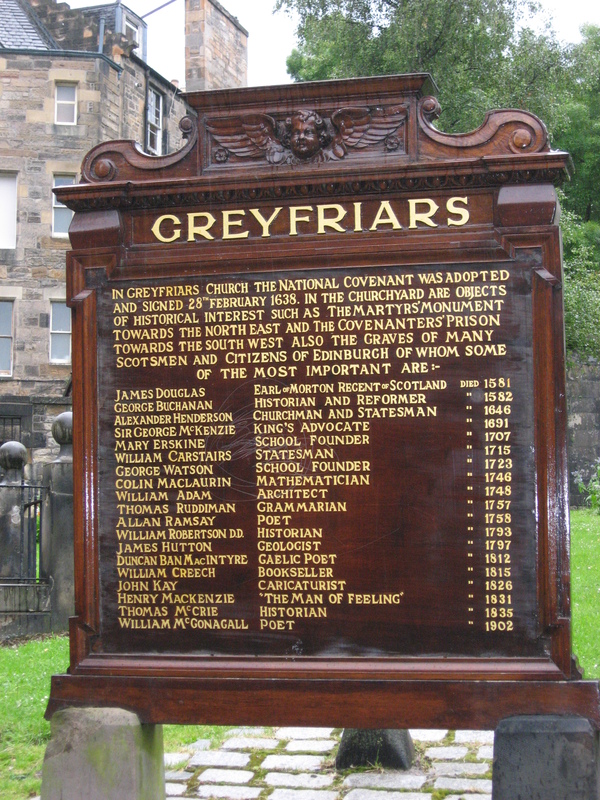 This memorial to fishermen is located at Shore Street on the south corner of Dunbar harbour, East Lothian, Scotland. 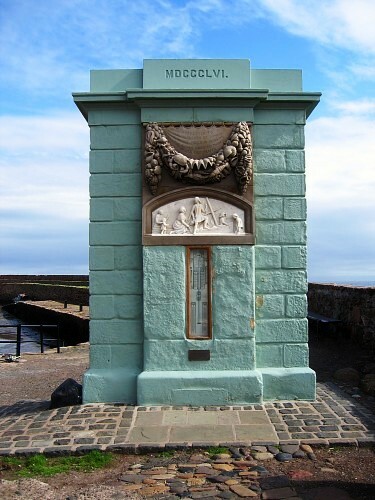 Dedicated to the fishermen of Dunbar, it houses a weather forecasting mercury barometer. 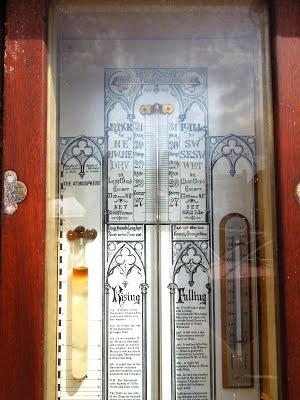 The Fishery Storm Barometer, introduced to Scotland by Vice-Admiral Robert Fitzroy with the intention of saving lives lost at sea because of unpredicted storms, was issued to many ports along the coastline. 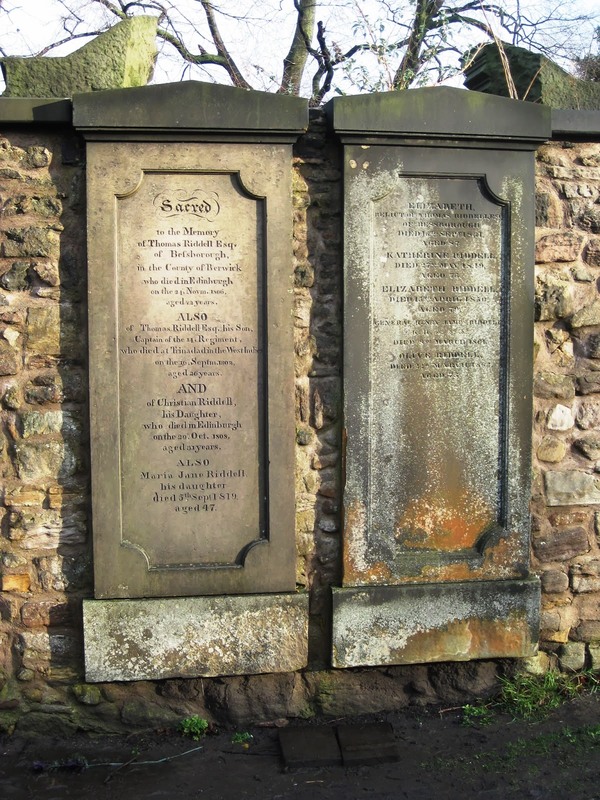 Mr. William Brodie of Seafield Brickwork saw an example of the thermometer in Eyemouth and launched a successful subscription to install one in Dunbar. The 15ft high monument of ashlar stone houses the thermometer supplied by Alexander Adie & Son Edinburgh. The year of the monument’s erection, 1856, is displayed in Roman Numerals at the top of the structure. The structure was listed a category B historic building on 5 February 1971. 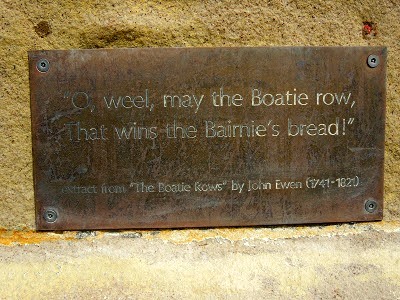 Note: this extract is incorrect, as the second line should read That wins my Bairnie’s bread. 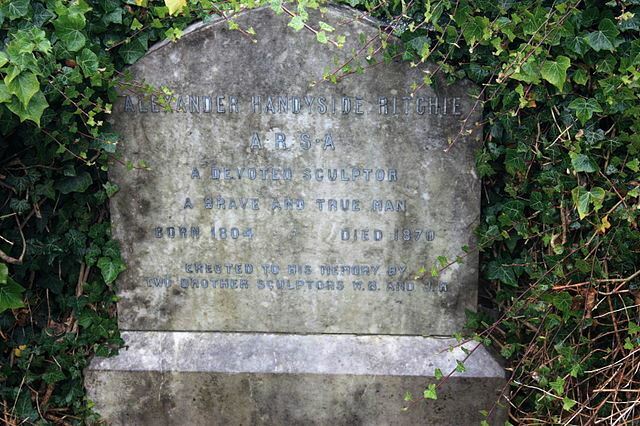 The sculptor, Alexander Handyside Ritchie was born in Musselburgh in 1804. 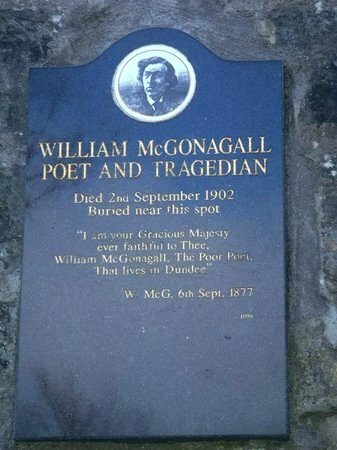 He trained in Edinburgh and later studied in Rome under the sponsorship of the Duke of Hamilton and Lord Minto. 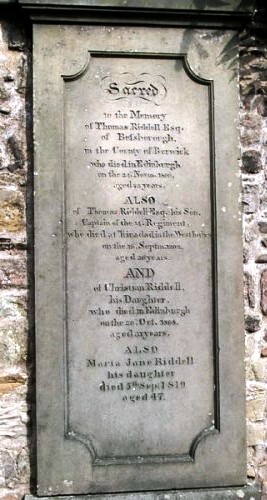 After his death in 1870 fellow sculptors erected a memorial stone to his memory at Inveresk cemetery where he is buried. Tow brother sculptors W.B. and J.R.
3. 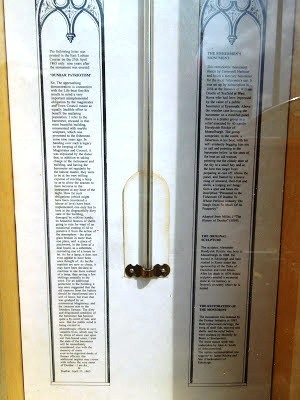 Instructions on how to use the barometer are known as Fitzroy’s Rules. 1st A steady rising Barometer which when continued shews very fine weather. 3rd In wet weather if the Mercury rise high and remain so, expect fine weather, but if the Mercury rise suddenly very high, fine weather will not last long. 4th A rapid rise of the Barometer indicates unsettled weather, a slow movement the contrary. N.B. The Barometer rises highest of all for North and East winds. The scale on one side of the Diagram beneath shews the height of the Mercury at different elevations, thus at the top of Ben Nevis the Mercury stands at about 25 inches at the top of Mont Blanc about 17 inches, and at the summit of the Himalayas 5½ miles in altitude at only 11 inches. 1st If a fall takes place with a rising Thermometer Wind and Rain may be expected from the South Eastward, Southward or Westward. 2nd A fall with a low Thermometer foretells Snow or Rain. 3rd A sudden fall off the Barometer with Westerly Wind is generally followed is a violent storm from N.W. or N.E. 4th A rapid fall indicates Wind or Wind with Rain. 5th In very hot weather the fall off the Mercury denotes Thunder or a sudden fall indicates high wind. Indications of approaching changes are shewn less by the height of the Barometer than by its falling or rising. The Mercury falls lowest for wind and rain together, next to that for wind, except it be and East or North-east wind. Sir, The approaching demonstration in connection with the Life-Boat forcibly recalls to mind a very important unimplemented obligation by the magistrates and Town Council meant and equally laudible effort to benefit the seafaring population. I refer to the barometer, encased in that most beautiful building, ornamented with marble sculpture which was presented to the fishermen some nine years ago. 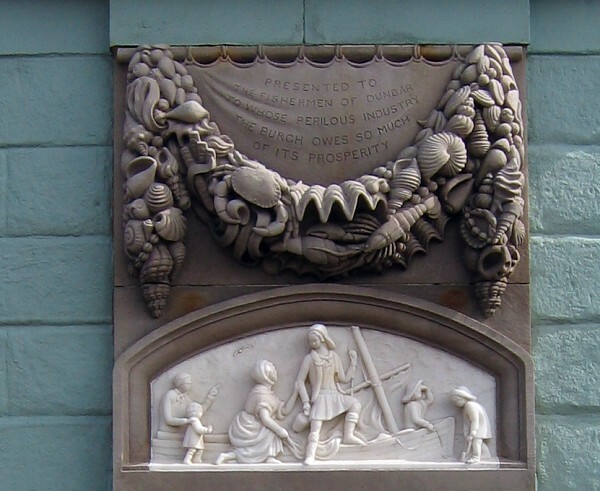 In handing over such a legacy to the keeping of the Magistrates and Council, it was stipulated by the donor that, in addition to taking charge of the instrument and building, and having the barometer set regularly by the harbour master, they were to be at the very trifling expense of erecting a lamp so as to allow the seamen to have recourse to the instrument at any hour of the night. How far such obligations (which might have been considered a labour of love) have been implemented, one only has to look at the disgraceful dirty state of the building, damaged by ruthless hands, its beautiful festoon of shells going to ruin for want of an occasional coating of oil to preserve it from the action of the atmosphere – the plate glass broken in more than one place, and a piece of patchwork, in the form of a deal board, as a substitute, reminding one of a house to let. As for a lamp, it does not even appear to have been once thought of. As lucifer matches are now so cheap, it may have been decided to continue to use them instead of a lamp, thus saving a few shillings annually to the town. For an additional protection to the building it was once suggested that the old cannons from the battery should be transformed into a sort of fence, but even that was grudged by an economical Magistracy, and the cannons sent to the founders furnace. The dirty and dilapidated condition of the barometer has become quite a by-word of late, and now that the public mind is being excited to philanthropic efforts to save valuable lives, which may be by stress of storm cast upon our iron-bound coast, I trust the state of the barometer will be immediately considered; else with the memory of many ever-to-be-regretted deeds of former officials this additional neglect may grow with infamy the very name of Dunbar. I am &c.
The monument was restored by the Dunbar Initiative in 1997. Both replacement carvings, the swag of shellfish, seaweed and shells and the relief below were sculpted by Michelle de Bruin of Sinclairshill. 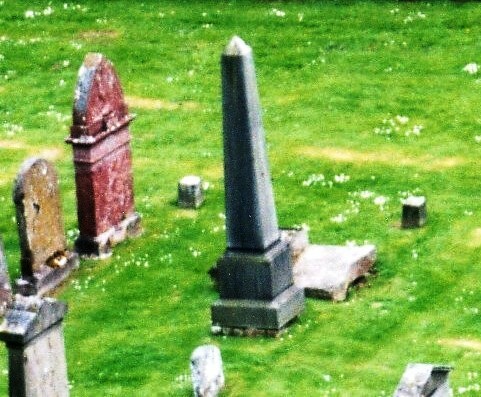 The stone mason work was undertaken by John A. Smith of Athelstaneford. 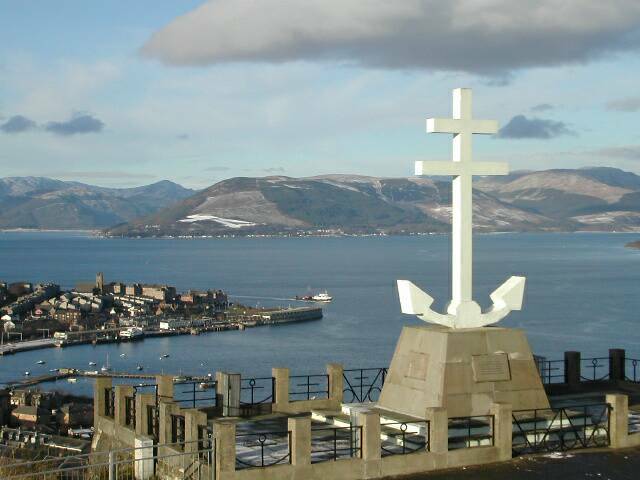 The replica instrumentation was supplied by James Ritchie and Son (Clockmakers) of Edinburgh.